Aside from the all the big election news this week, a couple of smaller items popping up in the newsfeeds on the credit card front point toward a rapidly changing landscape there too, one where mobile payments are even more common. First, Google let slip potential plans for a “Google Credit Card,” to go with their Google Wallet, an idea that appeared in a leaked Android app. 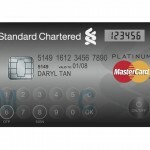 According to PC Mag, the card will evidently sync with the user’s online accounts, where it will in turn be charged to already-synched “real” credit cards as the default means of payment. A shopper could use their smartphone to go on a spree with the Google card, yet change which card or account the charges were debited to, while they were still buying. In other words, they could use one card yet still spread payments over several accounts. Google wouldn’t confirm such a card was in the works, however, the idea would be that the “card” could be used in places not set up to directly accept payments from the Google wallet. And while the distinction between the two may be blurry, it points to consumers who will be increasingly cash-less, and increasingly expect ease-of-payment from the merchants they patronize. Meanwhile, the same week, Gizmodo reported on MaserCard’s trial use of their new Display Card, in Singapore. It’s a card that comes with LCD and touchscreen keypad — of all things — allowing users to generate a password by way of extra security. MasterCard allowed that the card could eventually incorporate additional functionalities, such as getting real time info on account balances, reward points, transactions, etc. In other words, then, Google is working on phones that work just like credit cards, and MasterCard has previewed a card that, increasingly, can work like a small phone. At some point, they’ll meet in the middle, but right now, you need to be ready for on-the-spot processing, to make sure you’re security compliant, and to get ready for the “new year” — the one your customers are already embracing — that lies ahead.